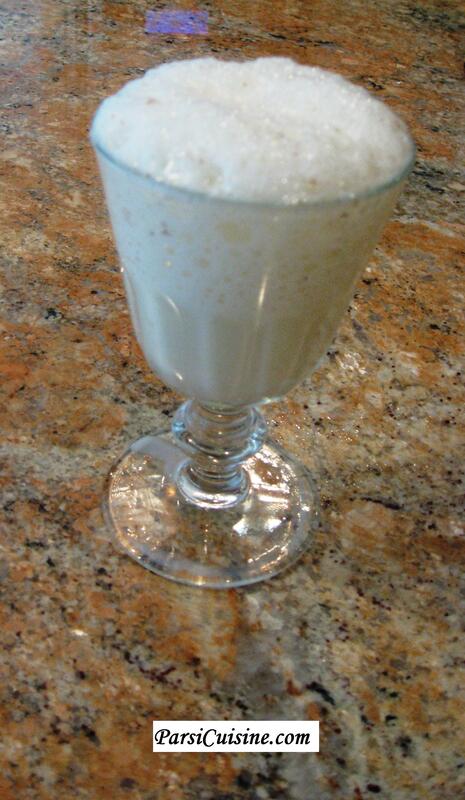 This delicious and nutritious drink is traditionally made in the winter. Fresh milk is used and to cool the milk, it was put out on an open terrace or flat roof overnight. In this century we use the refrigerator and USA dairy cow’s milk. Best served immediately in the morning or refrigerate for later. Boil milk to a full boil. Beat with egg beater or whisk till froth develops.